SURPRISE singing waiters - with a twist! 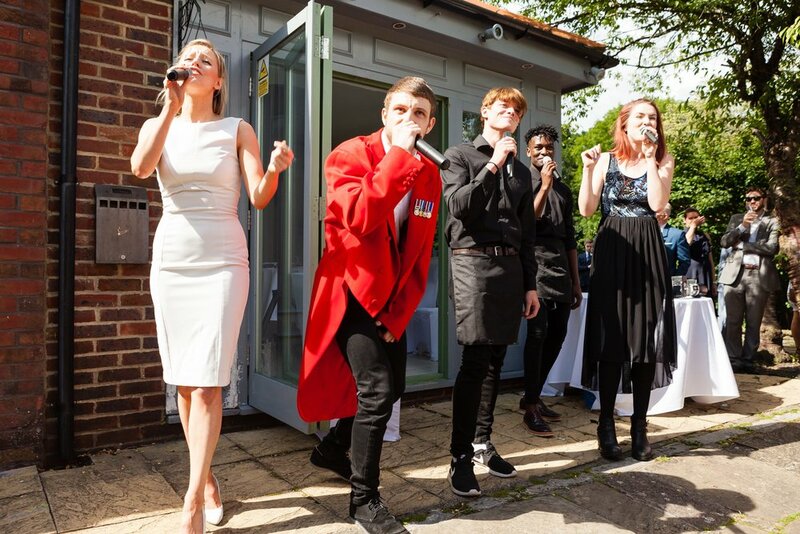 Our Singing Waiters (and guests) rocking the floor at a summer wedding! Our singing waitress and chef performed a riff-off and had the guests laughing and the groom crying in this amazing performance! Looking for a really personal surprise for your guests or for a loved one? 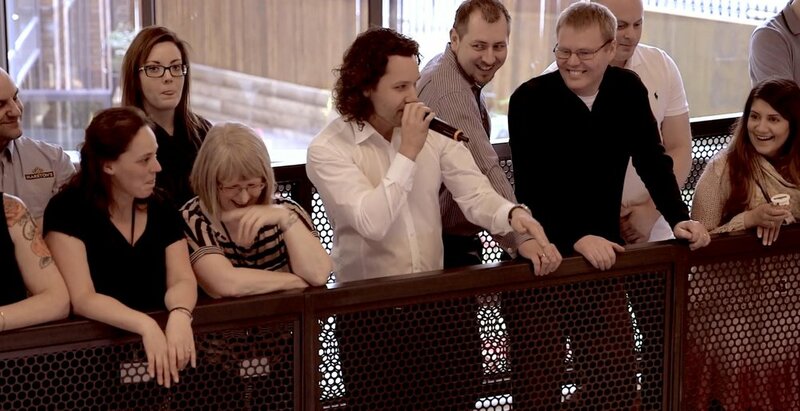 Our team not only take popular songs and arrange them in awesome medleys you’ve never heard before, but we change a lot of the lyrics to be about the happy couple, birthday boy/girl, or key people at the company! This makes for a hilarious surprise that the guests will NEVER see coming! 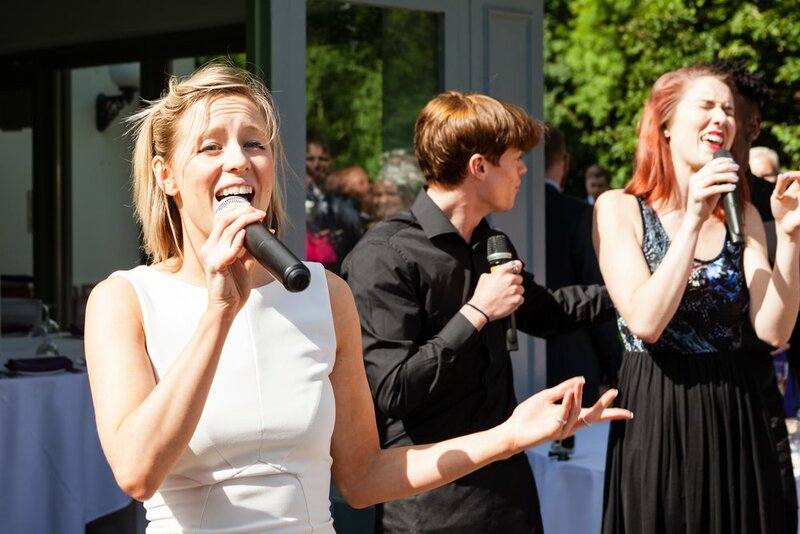 Our Pitch Perfect Singing Waiters package (4+ singers) includes beat boxing, vocal instruments and unique personalised lyrics in a modern 'Pitch Perfect' or 'Pentatonix' style acapella performance, with modern songs, throwback, and a lot of humour thrown in. And for smaller events or for those working with smaller budgets, we can provide 2 or 3 singers from our unique team to come and wow your guests, with guitar accompaniment. We love including your favourite song too, and will consult with you to come up with a unique start to the surprise. We can even stay on and get everyone up and dancing later with some classic tracks on the dance floor. Call 02078673769 to discuss how we can tailor this unique act to your special event, birthday party or wedding. 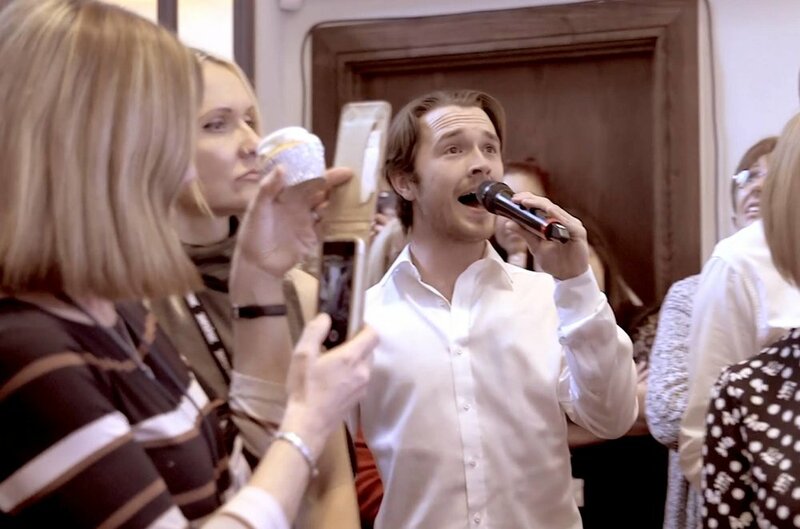 Prices for our singing waiters include all sound equipment, soundcheck, and start at £750. Three of our singers shocked and amazed guests at Denise’s wedding - a complete surprise for Bill, her groom!